If manual transmissions are going out of style, the new Ford Focus RS must have missed the memo. Granted, it’s probably easy to miss some memos when you’re sitting astride 350 horses and 350 pound-feet of torque. But just because one of the hottest hot-hatches money can buy only comes equipped with a manual transmission doesn’t mean less-experienced stick-shifters need not apply; the Focus RS makes use of a stall-recovery feature, which not only makes stalling less inconvenient and embarrassing, but may help bring the joys of driving a manual to a new generation of car owners. 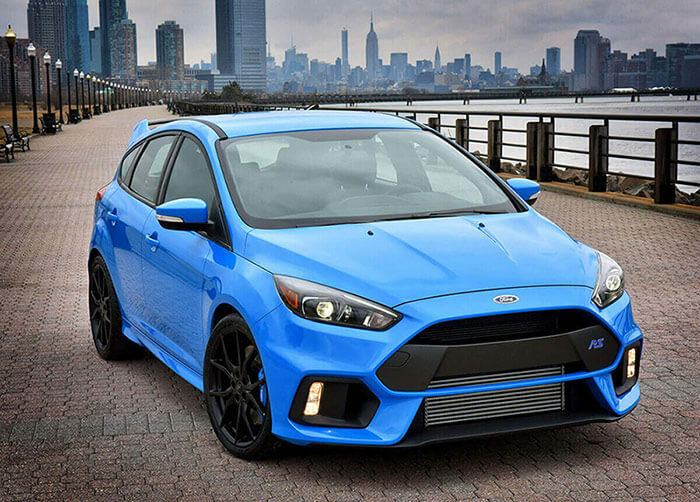 The Focus RS incorporates a mechanism to recover from a stall in addition to its engine stop-start technology, a feature designed to give engines a rest and increase fuel-efficiency when vehicles come to a complete stop. Ford has upped the ante on this tech by adding stall recovery, which allows drivers to recover after a stall without manually restarting or shifting into neutral. Some have lamented the need for such a feature; after all, it wasn’t too long ago that almost anyone interested in driving a car as thrilling as the Focus RS would have significant experience operating manual vehicles. But the automotive industry is largely moving away from manual transmissions, and the sheer fact that anyone interested in driving the resurrection of Ford’s legendary RS badge needs to brush up their stick-shift is a pretty serious nod to tradition. We’re excited for the arrival of this fascinating addition to the Ford family!